This change can be made anytime the review cycle is active. 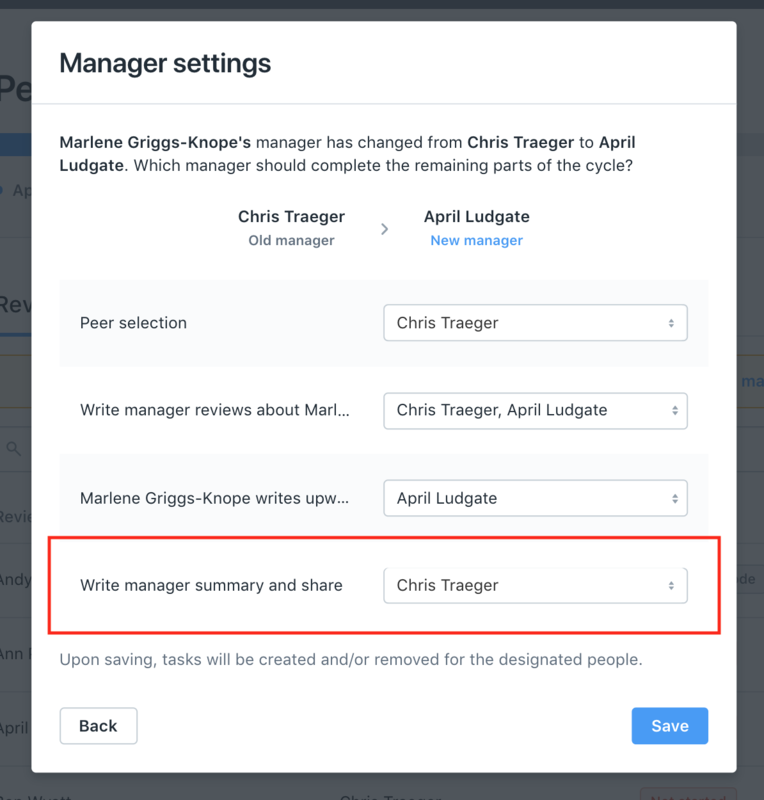 Step 2: Click on "Adjust manager tasks"
The selected manager will be responsible for 1. Approving peers for the direct report and making any overrides, or 2. Selecting peers for their direct reports (depending on what setting has been chosen during Review Cycle set-up). Only one manager can be selected for this phase. 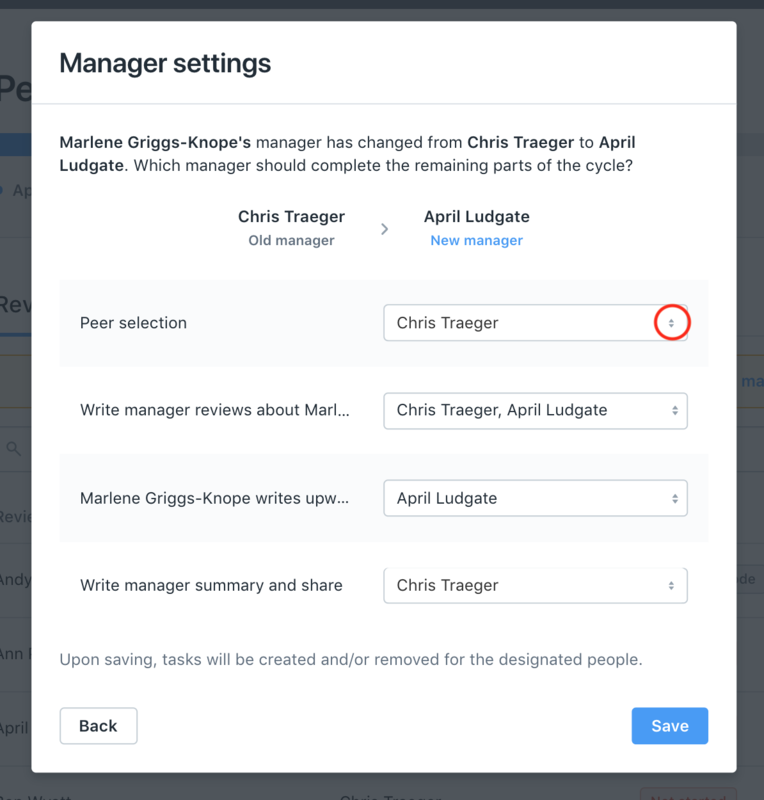 Please note: If you are making changes to this manager work-flow during the "Review" writing phase, you will not be able to make a change to peer selection. You can choose to have both the new manager and new manager fill out a downward review, or you can only choose one manager. You can choose to have the Reviewee write an Upward review for their old manager, new manager, or both. Only one manager can be chosen to complete this task. 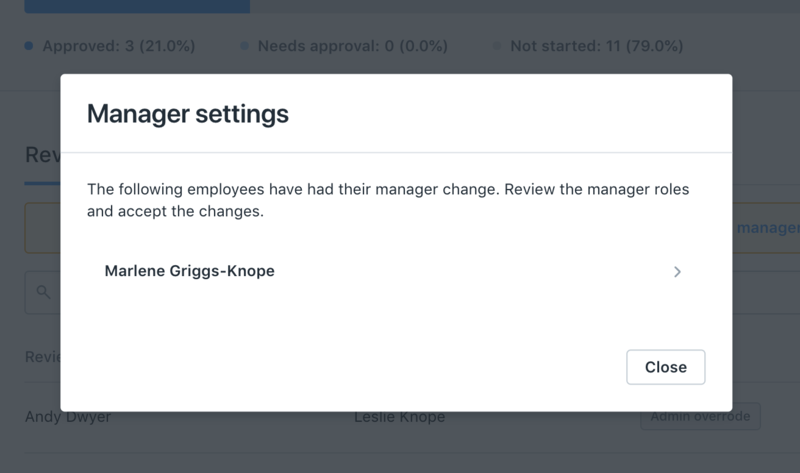 If you change the reviewing manager and the packet sharer to the new manager - we will delete the old manager’s review if they’ve submitted it. If you change the packet sharer to the new manager, then this is the manager that gets visibility into the self/peer/upward reviews (if visibility is enabled). 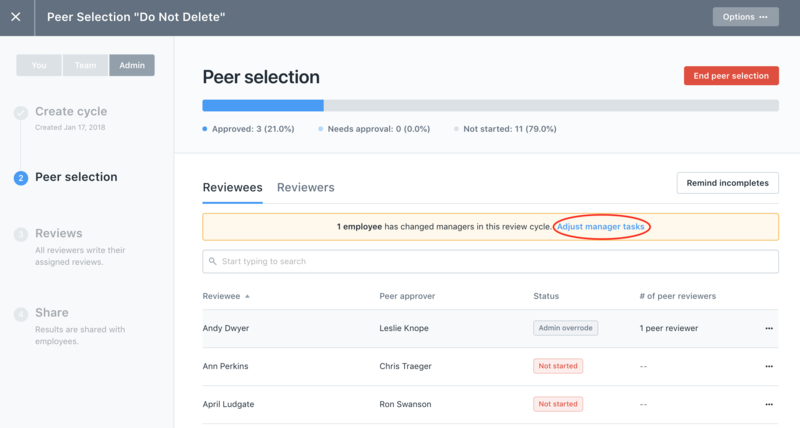 If you leave the reviewing manager and the packet sharer to the old manager, then the old manager and the new manager get visibility into the self/peer/upward reviews (if visibility is enabled).